GRACE Restaurant is the place to be in the heart of Berlin’s City West, right on Kurfürstendamm. Not only local celebrities but also Hollywood superstars such as Brad Pitt, Bruce Willis & Sienna Miller have long discovered GRACE Restaurant as a beautiful location to dine and party with friends and family. The eclectic emotional interiors by celebrated designer Dayna Lee who created a New York City or London townhouse atmosphere are bound to delight anyone. The perfect balance between stunning interior design, a casual yet glamourous vibe paired with exceptional cuisine has established GRACE as one of the most prominent restaurants in 2018. After dessert, guests are invited to party on in the GRACE Bar or on the ROOFTOP in summertime to round off the evening with signature cocktails or plenty more. The young and ambitious kitchen team led by Chef Martin Bruhn picks up the casually elegant vibe of the restaurant by creating extravagant dishes with Asian-Californian and European influenced elements such as Black Cod, Creamy Rock Shrimps or Filet of Beef Chinois. Paired with the ambience of the restaurant a truly unique experience is guaranteed. All dishes can be served „family-style“ as small plates, making the dining experience a social event. A selection of red and white wines from California carefully curated by our International Sommelier is one of the greatest assets on our drinks menu. Aji Panca, Leek, Avocado & Pumpkin Seed 180g/ 250g. 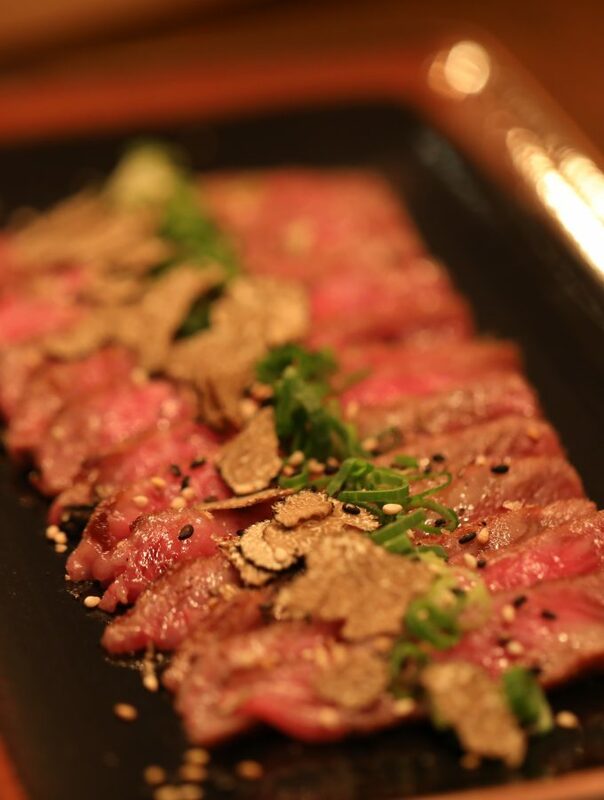 Black Truffle, Soy & Sesame. 120g/ +50g. GRACE Restaurant is open Tuesdays through to Saturdays from 7:00 pm. Please be advised that due to high demand we will release your reservation should we not be able to reach you with the contact details provided. Reservations are possible between 7:00 – 10:00 pm. After that we seat on a „first come, first served” basis. Reservations for groups of 8 guests or more are accepted exclusively via the contact form below, telephone or email: reservierung@grace-berlin.com. We will then call you to discuss the details.